Enjoy the warmth and beauty of carved wood corbels. With the proper installation, these wood brackets can support up to 150lbs, which gives you the flexibility to use a decorative bracket for support. 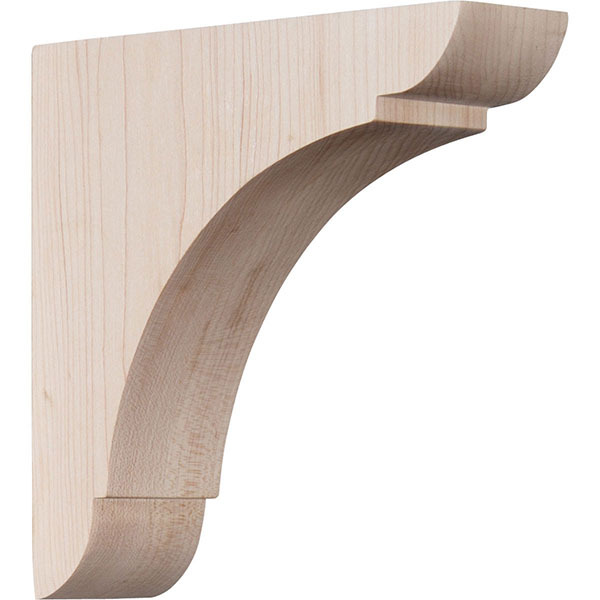 Available in a variety of species, these brackets ship to you fully sanded and ready for your paint or stain.